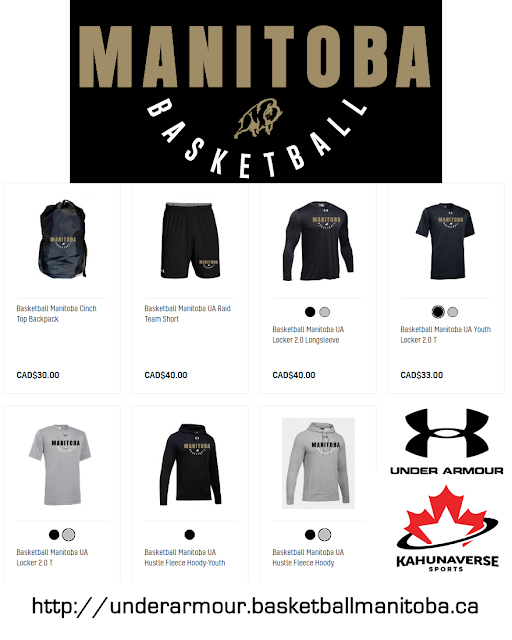 SHOP NEW FAN STORE: Basketball Manitoba is very pleased to announce a new partnership with Under Armour Canada and Kahunaverse Sports Group to supply equipment and gear to all of its programs. This partnership will see the Under Armour brand outfit the Manitoba Provincial Team and Centre for Performance programs and support all other programming and events offered by Basketball Manitoba. This will also see an enhanced relationship with Kahunaverse Sports Group (aka Home Run Sports) of which Basketball Manitoba has worked closely with for a number of years. 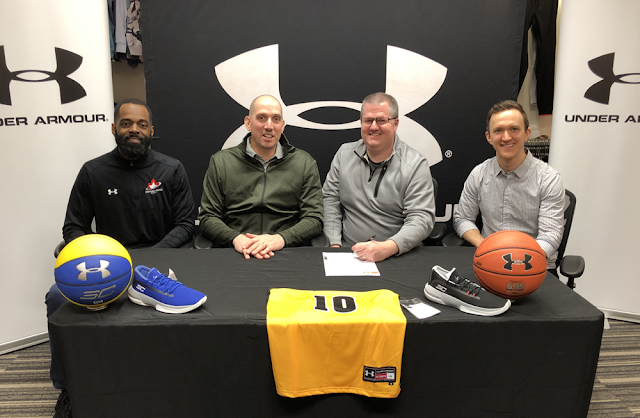 Basketball Manitoba's Executive Director Adam Wedlake commented, "We are very happy to have both Under Armour and Kahunaverse Sports to help grow and enhance the basketball experiences we currently offer. Both brands are major players in their respective fields and we are excited to partner with them moving forward." Remi Chartier of Under Armour Canada added, “We are thrilled to partner with Basketball Manitoba. This new agreement gives UA an opportunity to provide Manitoba’s very best basketball players, coaches and fans top of the line sports apparel, accessories and footwear. Adam, Dan and Jillian are a very organized group that have done great things in not only growing their membership over the years but also focusing on providing the best training, coaching and fostering an environment of growth for all of those involved. Having Ogo and the team at KSG involved makes for perfect synergy. Their expertise in the team/association domain along with their ability to activate at a retail level made this partnership unique. We look forward to growing our brand presence along with continued success on the court for seasons to come." Ogo Okwumabua of Kahunaverse Sports Group commented, "We are excited to continue working with one of the country's leading PSO’s. As a former player and coach with the Basketball Manitoba program, it was an easy decision for our organization to work with an organizational body who delivers top-notch programs and services to its members. I know that this strategic partnership between Basketball Manitoba, Kahunaverse Sports and Under Armour will continue to support the growth and development of the sport in Manitoba for many years to come." As part of this new partnership, a new Basketball Manitoba Under Armour themed Fan Zone store on the Kahunaverse website has been launched that features a growing number of Manitoba Basketball branded UA gear.